A playful and fun illustration of jolly happy frog holding a big red heart. Creative design from our collection of heart wall stickers. Ideal to create a warm and loving atmosphere along with a fun and creative appearance. 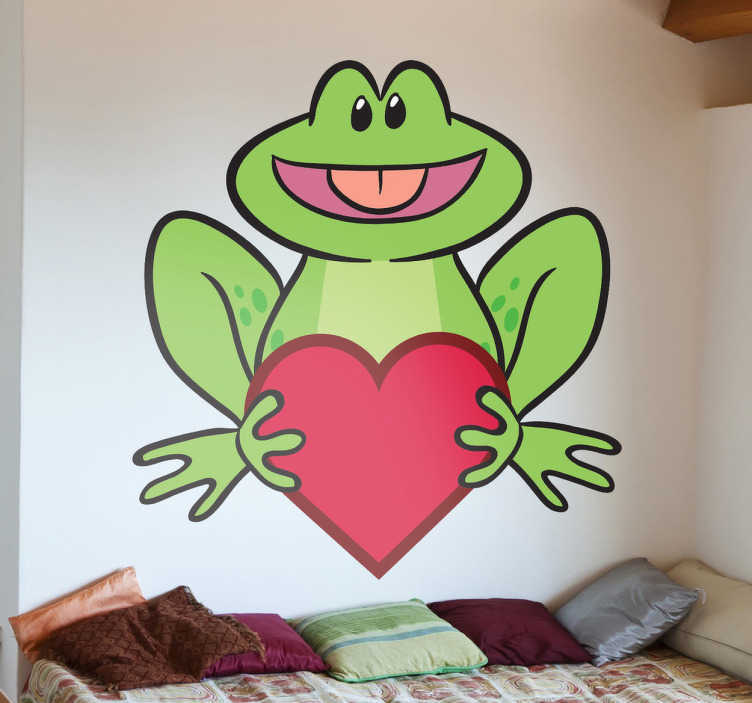 Personalise your home with this loving frog decal. This loving frog is ideal to decorate any room at home. It is available in various sizes. Made from high quality vinyl. Easy to apply and easily removable.